When the high frequency sight word is regular, it is recommended that students are initially instructed to ‘sound-out’ (or decode) the word. After repeated practice, students will no longer rely on ‘strategy 1’ as the sight words will be recognised automatically by sight. This is a two-stage strategy. First the ‘sounding out’ strategy is applied and it produces a non-word; but when the beginning reader stops for a moment to think about the sounds that were produced they are often able to arrive at the associated “real” word. For example: Was: It then needs to be explained to the student that when sounded ‘wahss’ is produced, but when the word is read (and spoken) it is verbalised as ‘woz’. Over time students will not require the adult’s explanation. (For example: Child: “W-ah-ss. Oh I know! That is that tricky word woz”). With a little more exposure and rehearsal students will not require ‘strategy 2’ and will instantly read the word as “woz”. Phonic knowledge assists the mastery of a significant proportion of the list words. The difficulty for beginning readers is that their knowledge of how alphabetic symbols are combined to represent sounds contained within words (i.e. phonics) is extremely limited. The alternating black and grey colour coding of the sight words assists the beginning read-er by highlighting the sound and phonic structure in the sight words. However, when students would benefit from the explanation of a particular phonic concept, this is indicated by the phonic symbol being highlighted within the book icon in the left hand corner of the flash card. For example: ‘ea’ representing an “eeee” sound greatly assists a beginning reader decode the word ‘each’. Where possible, it is recommended that ‘strategy 3 sight words’ are linked with class-based phonic spelling lists. If a sounding out strategy will not assist, a visual strategy is required. The icon of an eye, prompts the application of this ‘learn the word by how it looks’ strategy.  While repeated visual exposure may assist word recognition (reading), the application of an acronym will likely fast track the ability to spell the word. The first 25 sight words are the most complex to instruct. PLD’s new program filled with whole class and small group instruction tips, games, activities and assessment tool. 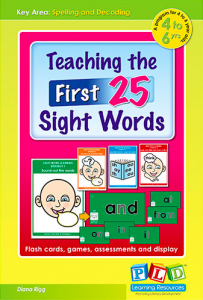 Designed by a Speech Pathologist, this resource (51 pages) contains flash cards, games and assessments to assist teaching the reading and spelling of the first 25 sight words. Four explicit instruction strategies are applied to the first 25 sight words. Methods for whole class and small group explicit instruction. Reading and spelling consolidation tasks. Sight word reading and sight word progress checks.